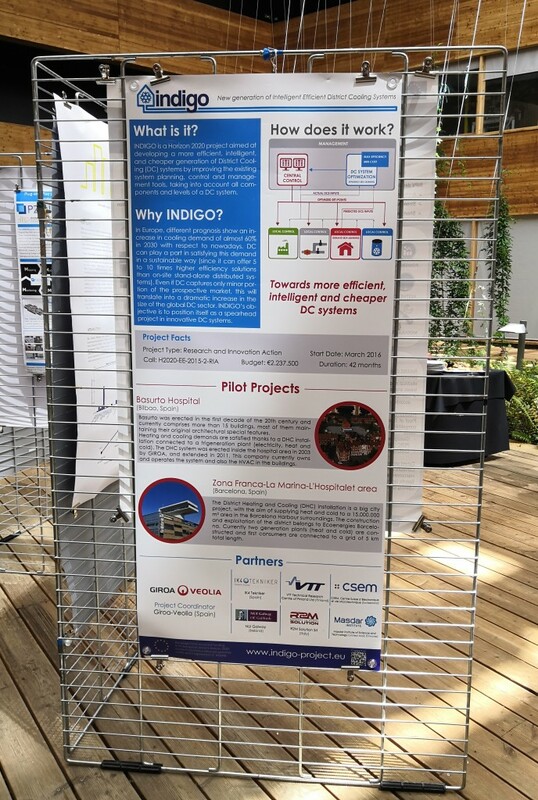 The project was represented by Tatiana Loureiro (R2M), Andrea Costa (R2M), Raymond Sterling (NUIG) and Miika Rämä (VTT), with a poster session and a workshop organized by INDIGO. The workshop, titled District Energy Systems: A collaborative exchange of results on planning, operation and modelling for energy efficiency, was a collaborative and networking event among EU funded projects in the area of District Heating and Cooling. The workshop had the participation of the projects: E2District, OPTi, Flexynets, PENTAGON, SDHp2m, PlanHeat, In-Deal, H-Disnet, CoolHeating, Thermoss and INDIGO. The experience was positive, with many contacts made and shared experiences. We hope to repeat and improve the networking sessions next year in #SP19.